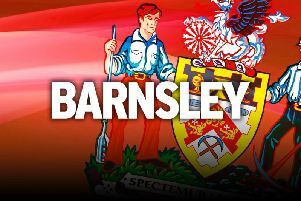 Barnsley boss Paul Heckingbottom is confident his side can stretch their impressive unbeaten league run to five games. And Heckingbottom has called for his side to be ruthless having failed to score in their last two drawn matches. The Reds host Nottingham Forest at Oakwell tonight and the manager knows it is another chance for his ambitious side to impress in front of the television cameras. “We’ve missed chances,” reflected Heckingbottom. “We had some great chances early on against Burton. “And then against Wigan we missed three good chances in the first half against them. “We’re still creating chances, but we have to start putting them away. “We have to be more ruthless – and we said that when we came up to this league. The Reds might not have scored in their two games but their four game unbeaten run is testament to the resilience Heckingbottom has re-installed in his team having lost five of their previous six games. Defender Aidy White and striker Stefan Payne are still missing with injuries, but Heckingbottom is hopeful the duo will return in time for the festive period. “The fixtures come thick and fast when you get into December and January,” he said. “We’ve got no international breaks then for a while, so need everyone as fit and conditioned as possible so that we keep as many bodies as fit as we can. Forest are unbeaten in their last two league outings having previously lost three in a row. And Heckingbottom expects a tough test despite home advantage. “We’re looking forward to our next two homes games,” revealed Heckingbottom. “They’ve been playing with a lot more energy recently and have been more effective. Meanwhile, former Reds defender Paul Futcher has sadly died aged 60. Futcher played for the club with his brother, who was a centre forward. He made over 230 appearances for the club between 1983 and 1989.